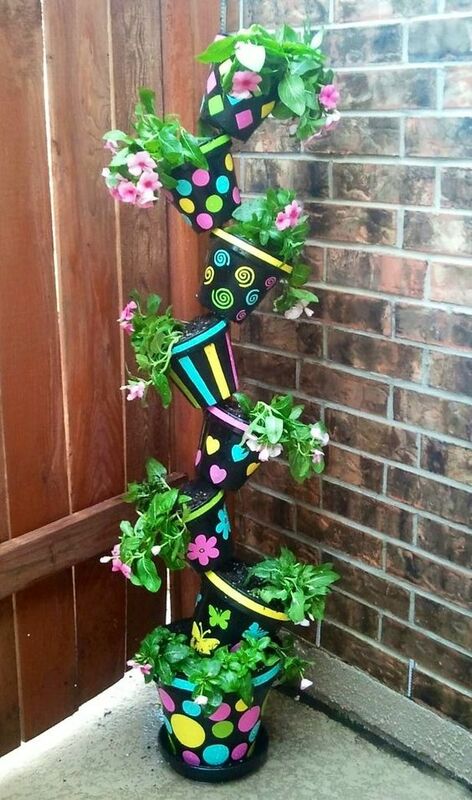 We always want to add more gardening space for our garden, vertical gardening is the No.1 Choice, yet we still have more small space in the corner of garden, patio or even balcony, Flower Clay Pots are always one of the ideal solutions to go vertical for a savvy gardening thumb. 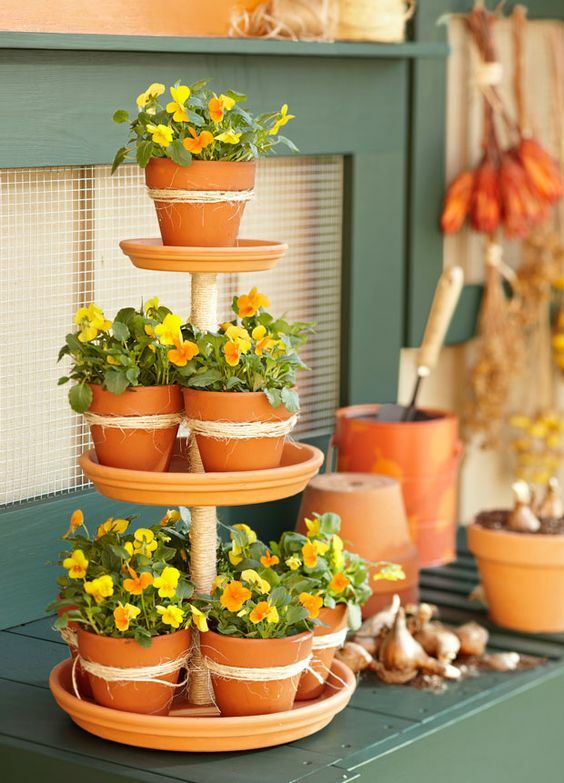 These DIY Flower Clay Pot Flower Tower Projects will be brilliant and bright for your garden in such creative ways it will spruce up your garden this Spring. 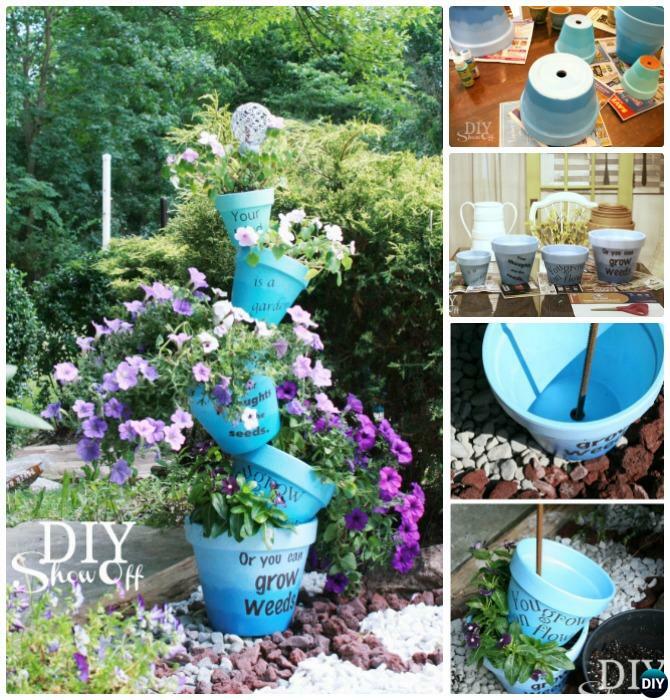 Gardening should be something both easy to make and fun to enjoy. 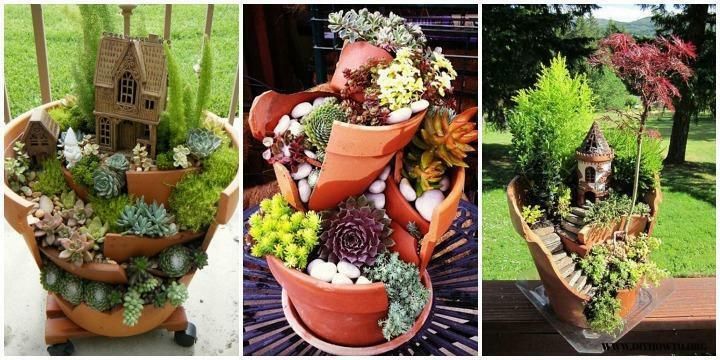 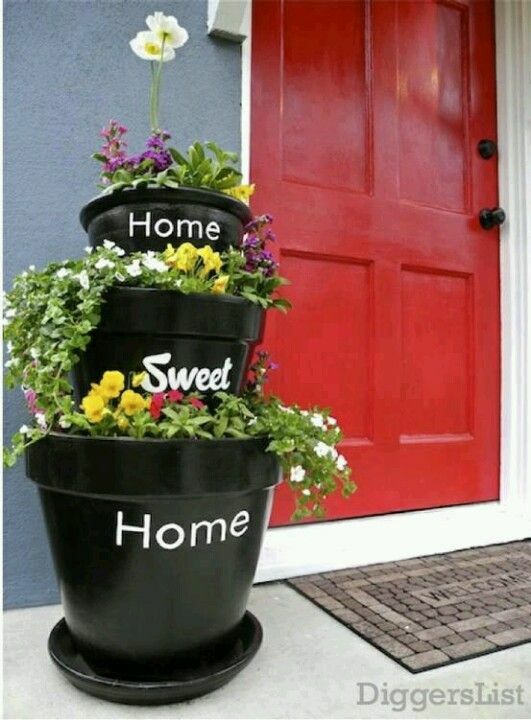 With some creative arrangement and artistic painting, you can turn the plain clay pots into something fairy magic for an appealing garden and even doorway decoration. 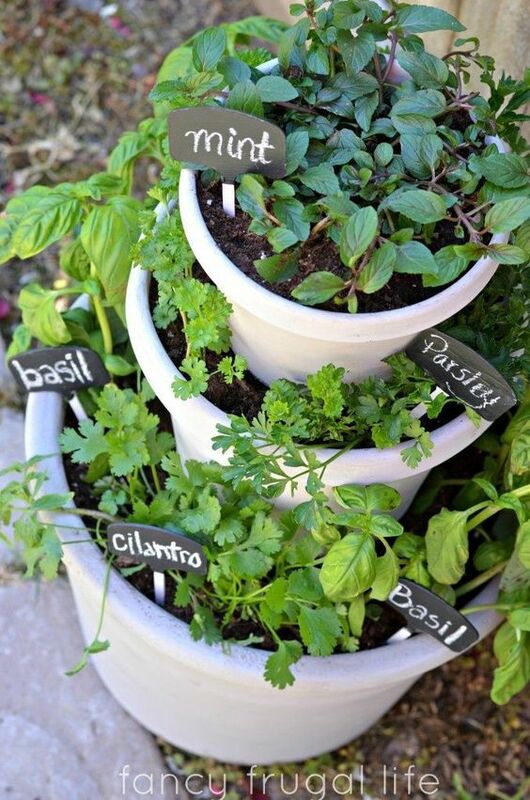 Make them for herbs, veggies and flowers for any corner you love to add green for fun! 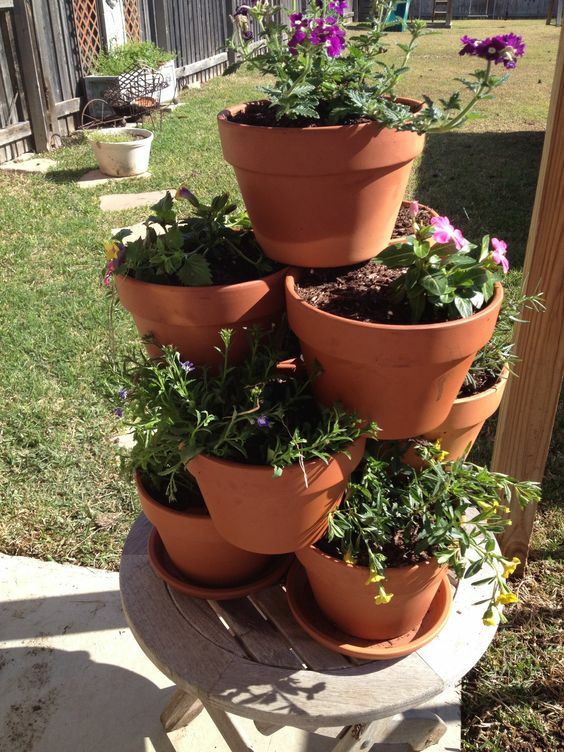 The trick behind this stacked terra cotta tower planter is to use flower clay pots of different size and stack them in an upside down manner. 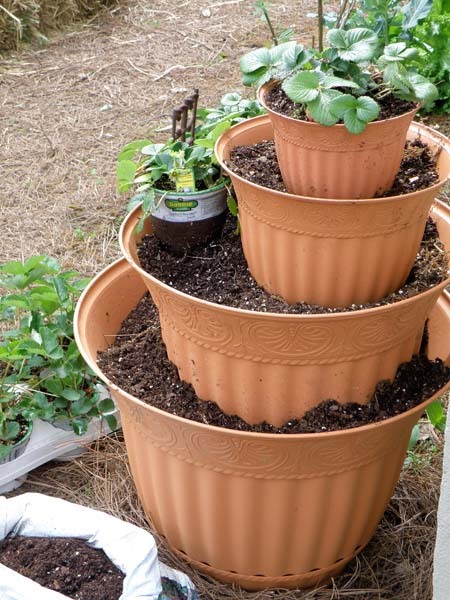 Start by placing the large planter where you will want your tree to be. 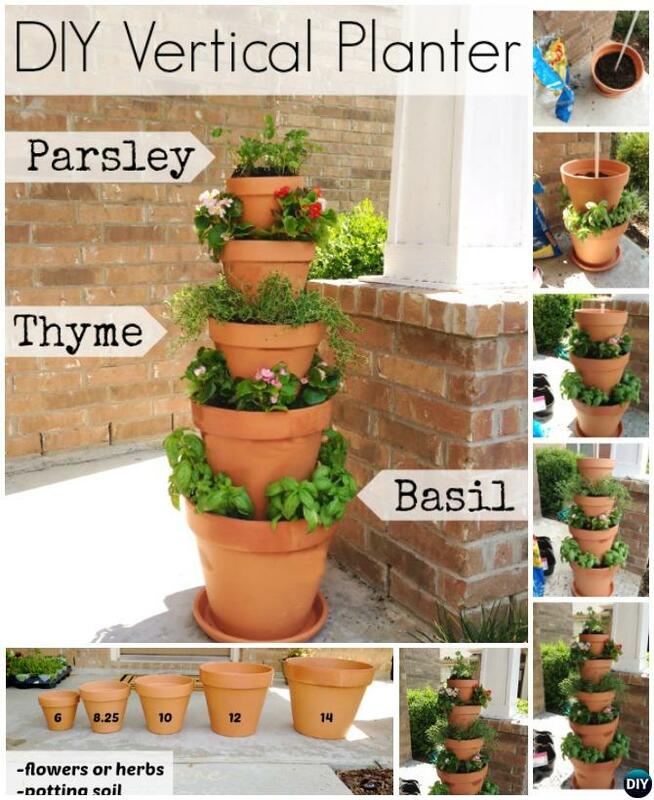 Save you soil, time and space for sure. 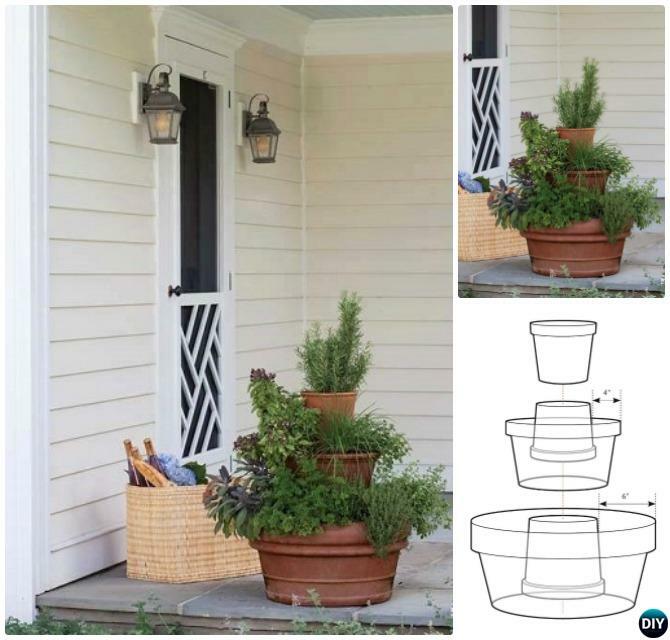 For the sake of space and practicality, this crooked version of vertical planter is easy to stack and move, and such an effort saver to water just from its top. 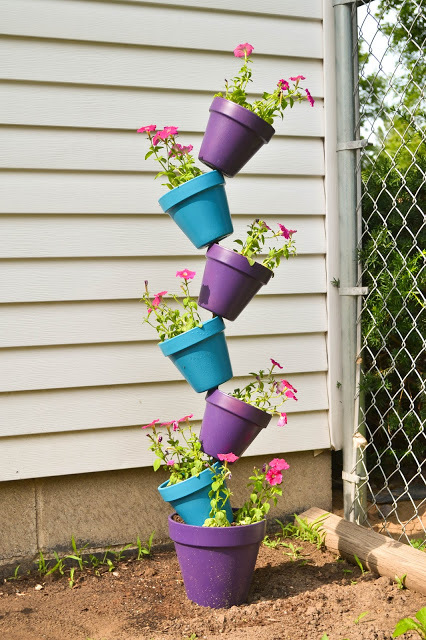 This easy-to-make flower tower can dramatically enhance vertical space with vibrant summer-long color. 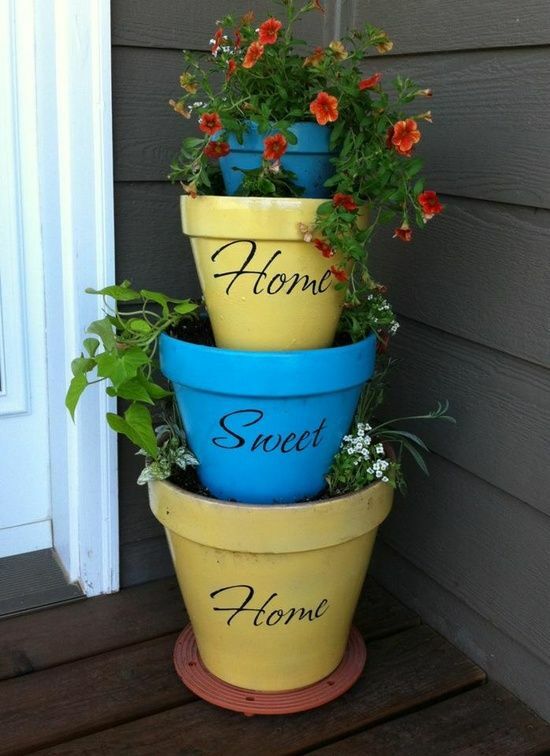 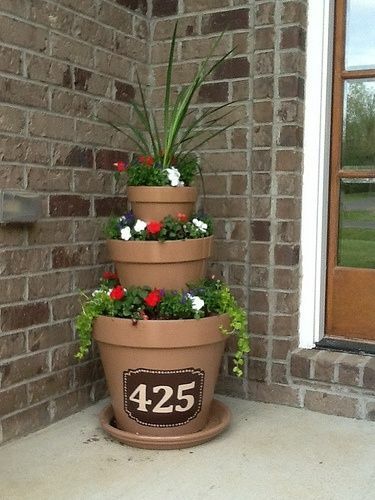 This verticle stenciled flower pot is another fabulous DIY project! 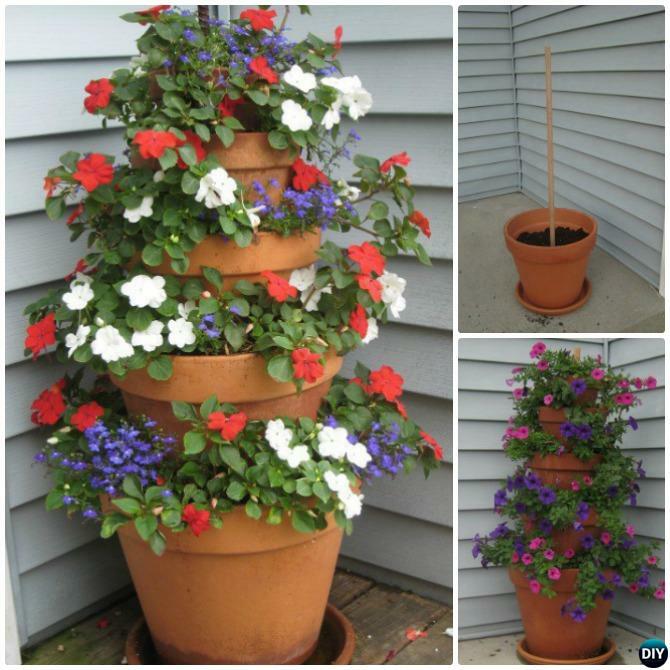 The ombre painting makes it even more gorgeous and it is easy to make for small space gardening. 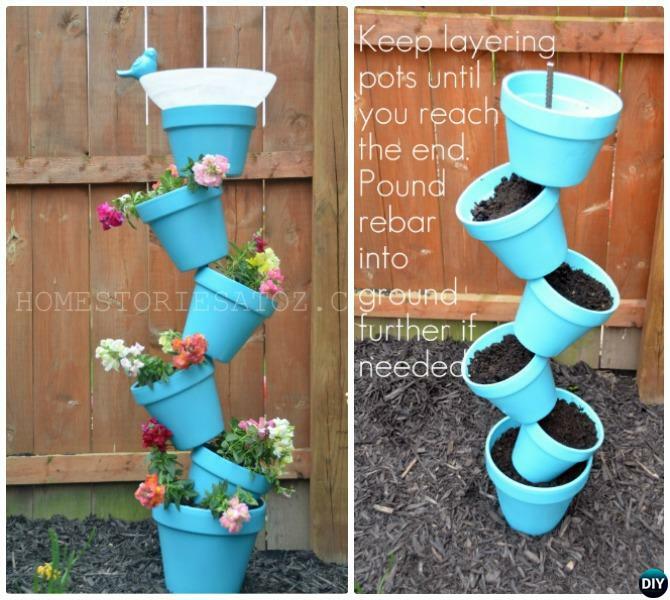 Add a bird bath and feeder at the top will be another brilliant idea to bring green and life into your garden. 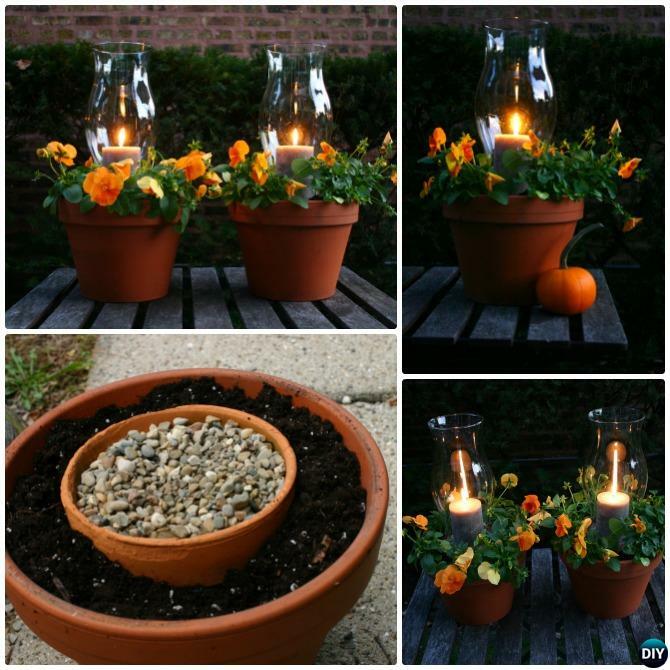 This is a fun DIY project if you want to add some flickers of light and stay late outdoor in the garden in warm weather.